I just finished this book and all I can say is WOW - what a fantastic book. 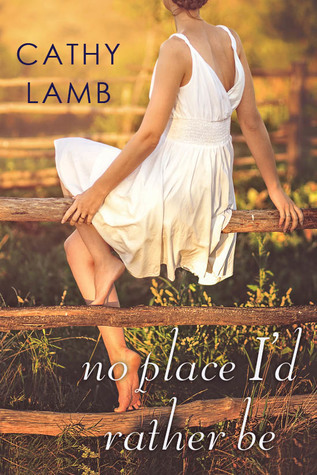 As always, Cathy Lamb has presented her readers with a complex book about family and love and acceptance. It was a book that caused laugh out loud moments as well as tears. I was so involved in this book that I canceled lunch plans today so that I could finish it which was probably not a good idea because there are lots of wonderful food descriptions in the book which made me really hungry so I ended up eating junk food while I read it. Olivia returns to her family in Montana after a 2-year absence with two little girls that she hopes to adopt. The girls had lived a neglected life with their drug-addicted parents who were now in jail and Olivia wants to protect them. Olivia's family is a loving but eclectic group of people - her sister (I loved her sister and their relationship), Kyle, her sister's son who has Aspergers, her mom, the doctor and her grandma the herbal healer. Also in Montana is the love of her life, her husband Jace, who she'd abandoned two years earlier when she left Montana. Olivia is a chef and her family believes that the family who cooks together, stays happy. (Trust me, don't read this book hungry!). When Olivia finds an old recipe book in the attic, it causes her grandmother to start talking about her past to her family, something that she has never shared with them. The story that the grandmother shares takes the readers back generations to earlier members of her family who shared their stories and their recipes. Overall, this is a story about a strong family of women (with a few men thrown in) who cooks together and loves each other no matter their faults and supports each other. The author does a wonderful job of bringing in other subjects - bullying at school, sexual abuse in the work place and autism to name a few. The readers learn to know and to love the women in this book and to laugh and cry and cheer with them at their successes. I hated to leave them all behind in Montana at the end of the novel. I received an advance review copy of this book from the Great Thought's Ninja Review Team. All opinions are my own.